Welcome to Our News and Events Center! 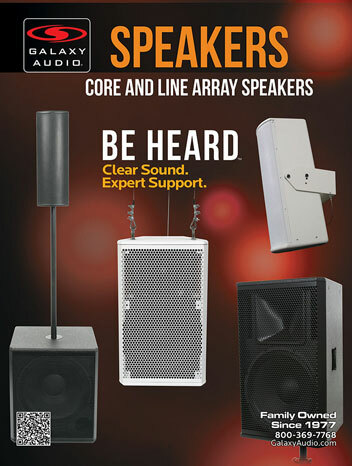 Galaxy Audio has been family owned since 1977 and has expanded into many new product categories over the past few years. 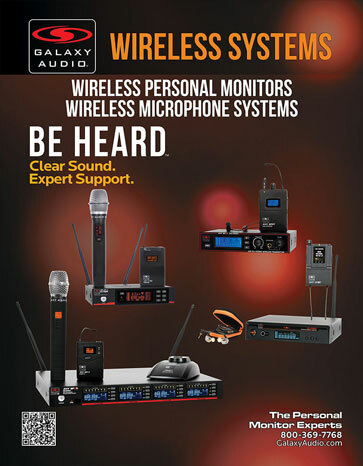 We have experienced growth in areas such as Wireless Personal Monitors, Wireless Microphones, Lightweight Ear sets and Headsets and Traveler Series Speakers. To be included in Press Release emails, contact Bacheus Jabara. USITT’s Annual Conference & Stage Expo provides education, networking, and hands-on opportunities to theatre and live entertainment industry professionals. Share and explore innovative technologies, new products, and methods while fostering lifelong connections. The National Association of Music Merchants (NAMM) trade show at the Anaheim Convention Center serves as a hub for people wanting to seek out the newest innovations in musical products, recording technology, sound and lighting. Broaden your horizon and explore the limitless opportunities available as the NAA hosts its 69th International Auctioneers Conference and Show in Jacksonville, Florida. At the industry's largest Conference, over 900+ auction professionals gather for four exciting days of education, networking and comradeship. Come See Galaxy Audio at booth #504! With two days of the hottest new gear, mind-blowing workshops, and performances by some of the best in the business, Sweetwater continues to put the "fest" in GearFest. With countless workshops and panels hosted by top producers, engineers, and musicians, GearFest '18 is your opportunity to learn from the best. A quick tour around GearFest '18, and you'll find more exclusive deals on the gear you crave than you ever thought possible. From expert panels, incredible performances and clinics to other amazing moments, Sweetwater will be live streaming select events throughout the entire weekend! Come stop by to see us at the R. Joseph Group Tent #7! The largest professional AV trade show in North America, featuring the latest technologies for audio, video, display, projection, lighting and staging, digital signage, conferencing, digital content creation, networking, signal distribution and much more. Come stop by our booth #C1424. 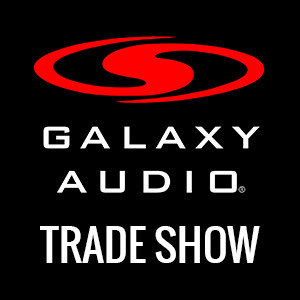 Come see Galaxy Audio at Booth #664! Come see Galaxy Audio at Booth #908! WFX Conference and Expo is two and a half days of essential education, hands-on training, networking, inspiration and creative solution options for every ministry team, including worship, tech, communications, facilities, and administration. WFX is brought to you by the WFX Network. The WFX Network is the most influential family of events and media products for churches that are investing in their buildings, technology and staff to create stronger, growing and safer ministries. It is comprised of Worship Facilities Magazine, Worship Tech Directors, WFX Conference & Expo and WFX REACH regional conferences. Designed as resources and references for church leadership, The WFX Network is a collection of market leading brands from EH Publishing. Conference and Show is the largest conference in the auction industry where 900+ auction professionals catch up with old friends, make new ones and learn a thing or two. 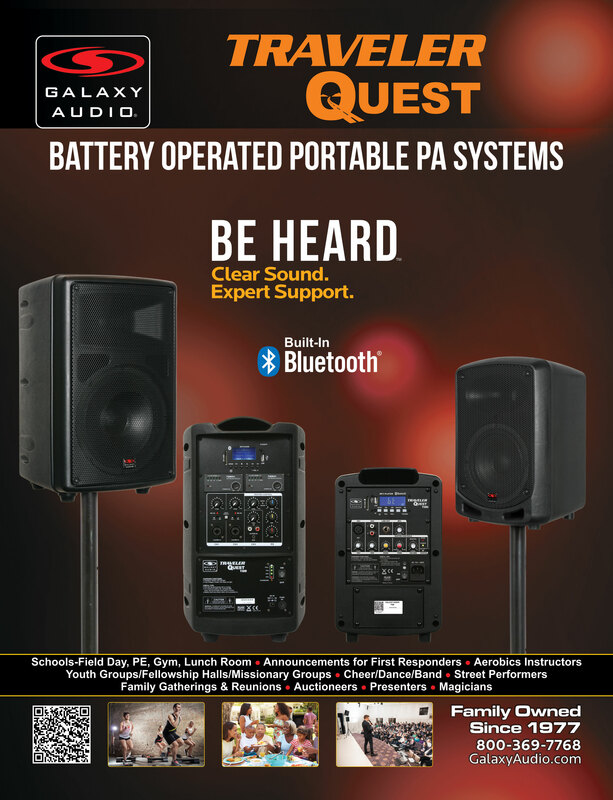 Come See Galaxy Audio at booth #315! Join 10,000 fellow musicians for two exciting days of free workshops, gear demos, deals, giveaways, and more, here at Sweetwater. The largest professional AV trade show in North America, featuring the latest technologies for audio, video, display, projection, lighting and staging, digital signage, conferencing, digital content creation, networking, signal distribution and much more. Come stop by our booth #6755. DJ Expo seminars will offer solutions to the biggest issues in an ever-changing industry, be they mobile-, club- or studio-related. 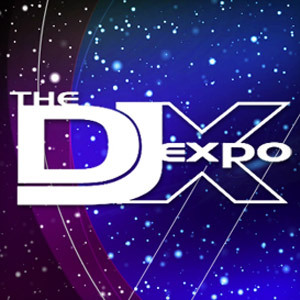 The DJ Expo showfloor & demo rooms will debut & showcase the products that will impact every DJ business. Sponsored DJ Expo evening events will bring DJs together for unique networking opportunities and musical experiences featuring trendsetting DJs & hitmaking artists. 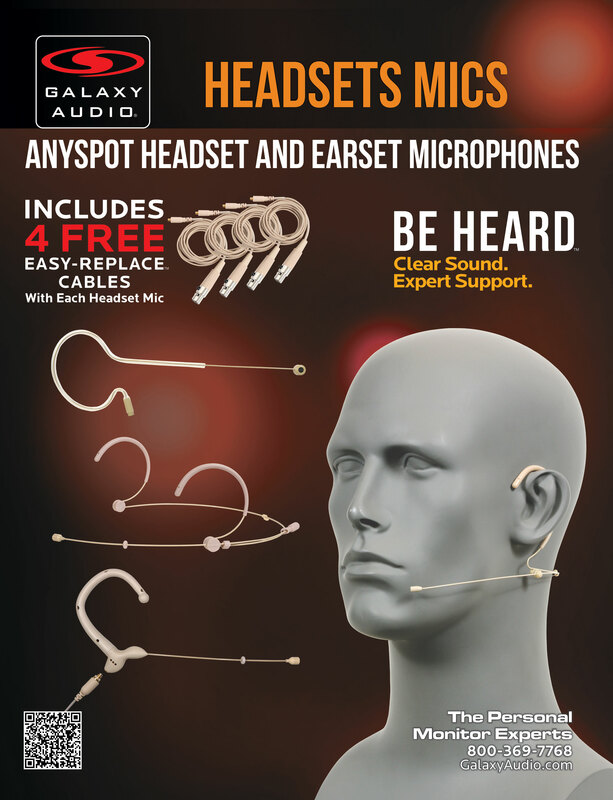 You can find Galaxy Audio at Booth #1106. 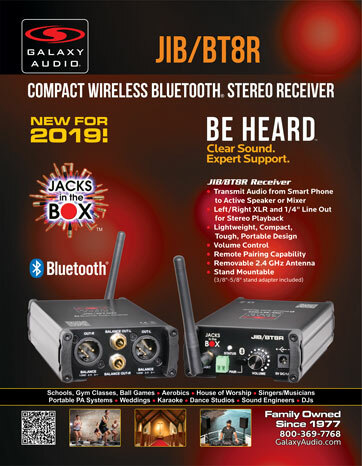 InfoComm International® is the trade association representing the professional audiovisual and information communications industries worldwide. 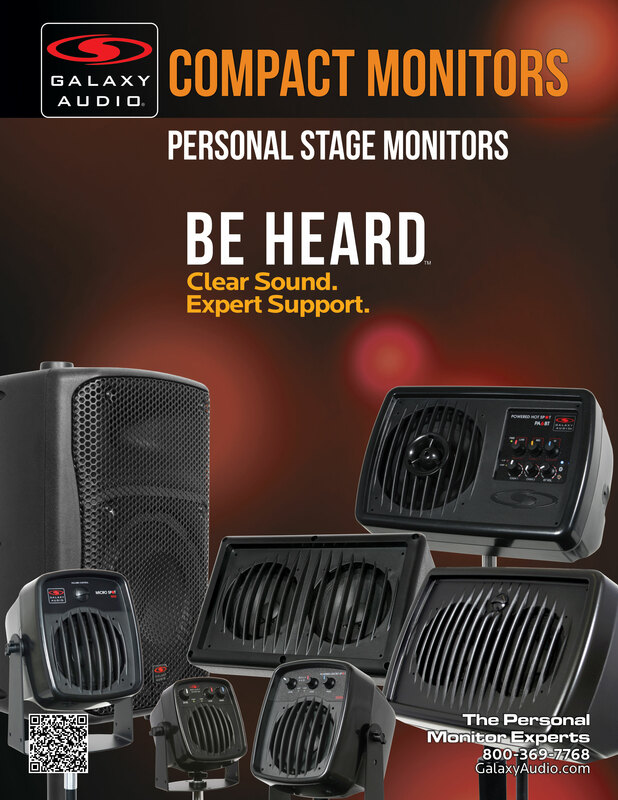 The InfoComm show will be held June 6-10, 2016, and the conference will be held June 4-10, 2016 in Las Vegas, NV. Innovate AV Technology Showcase, held at the Marriott South in Houston at Hobby Airport, is an all-day event designed with you in mind. Your time is important, so we’ve brought the latest AV technology all together for you in one room. From 9 AM to 4 PM on April 6th, you have an opportunity to learn about the latest AV solutions for your business or organization. DJ Expo is the Premier Global Convention for DJs and producers at the Trump Taj Mahal in Atlantic City. The 2015 DJ Expo will present three tracks of in-depth, educational seminars for professional jocks and up-and-coming DJs alike. 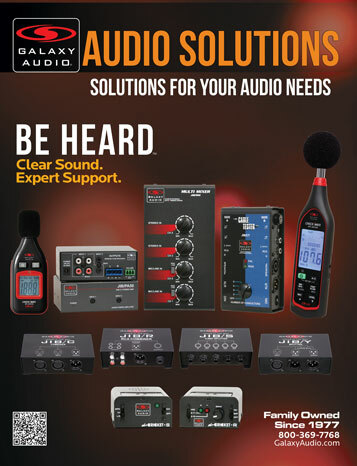 You can find Galaxy Audio at Booth #916. The National Auctioneers Association (NAA) International Auctioneers Conference & Show offers a variety of seminars, the annual election of officers, the annual business meeting of the NAA and National Auctioneers Foundation as well as auction-related vendor exhibits. The National Association of Music Merchants (NAMM) trade show serves as a hub for people wanting to seek out the newest innovations in musical products, recording technology, sound and lighting. InfoComm International® is the trade association representing the professional audiovisual and information communications industries worldwide. InfoComm serves its members and the industry through education, resources and events.